With technology advancing, these new Bose Wireless earbuds are right on track! Offered in four colors, these headphones are understated while packing a full punch. With up to 6 hours of battery life, water resistance, and bluetooth connect-ability. Does your girlfriend love the great outdoors? This outdoor travel backpack can be used for a laptop, outdoor supplies, or even a large school backpack! Perfectly functional, yet fashionable. Offered in 12+ colors, this oversize pack is multi-use, and highly durable. No matter the use, this backpack can fit all the goodies for a quick hike, weekend trip, or class! 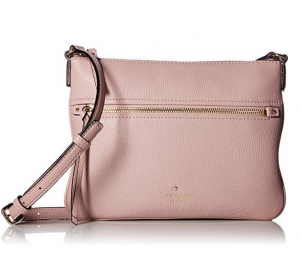 Check out this crossbody Kate Spade handbag! Offered in four colors (Pink Granite shown here), this versatile and functional bag, featuring just enough room for everything needed, is a great accessory to bring along for a date or night out. Do not miss out on this simple yet beautiful bag! 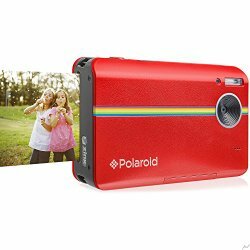 Bring the old school Polaroid gift back with this new and improved Polaroid 10 megapixel camera. No more ordering prints online! With this high quality and easy to use Polaroid camera, you can give your girlfriend the charming and timeless gift of instant pictures! Offered in five colors, this camera prints your full color pictures in less than one minute, it even comes with a LCD screen to get a good view of your pictures before printing. Don't miss out on this unique gift! 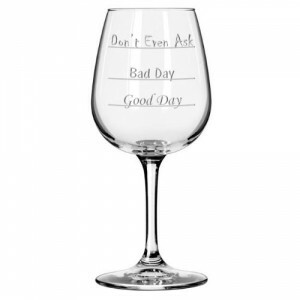 This wine glass comes with three hilarious fill levels: good day, bad day, and don't even ask! Perfect for any wine-loving woman, this wine glass is not only hand etched(so the pun will never wear off), but made from high quality glass that is dishwasher safe. Just in time for the holiday season! This black and gold watch makes the perfect holiday gift and complements any holiday outfit. Made from high-quality leather and durable glass, you can't go wrong with this stainless-steel watch. What girl doesn't love a monogram? This is the perfect gift for any girlfriend, this totally customizable monogram necklace features your girlfriends initials in sterling silver with a 16' chain included. New from the 2015 coach collection, this large leather canvas tote features everything needed in a bag. With a neutral print, full top zipper, and pockets for organization. Don't miss out on this great gift! The fitbit is all the craze this summer! Offered in tons of fun colors, this advanced heart rate monitor is a great way to monitor and track your everyday activities. With heart rate and heart rate zones you can track exercise, calories burned, floors climbed and so much more! You can even monitor your sleep and set an alarm all right on your wrist.